Zachary graduated from the University of Texas at Austin in 2010 with a Bachelor of Science degree in Chemistry with a concentration in Computational Chemistry. In 2013, he earned his J.D. from West Virginia University. 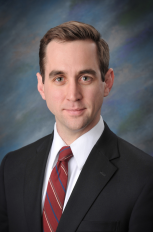 While in law school, Zachary founded the West Virginia Intellectual Property Association, assisted in teaching patent law and patent prosecution classes, and also graduated as a member of the Order of the Barristers. Before graduating law school, Zachary interned in-house at Mylan Pharmaceuticals where he assisted in product development, creation of ANDA filing strategies, review of opinions in anticipation of Hatch-Waxman litigation, and prosecution of patent applications for medical devices and small molecule drugs. Zachary passed the Patent Bar prior to graduating from law school and is licensed to practice law in the Commonwealth of Virginia. He joined International IP Law Group, PLLC (IIPLG) in 2013. With IIPLG he has drafted and prosecuted both design and utility patent applications as well as performed standards clearance research. His work includes a wide range of technologies including USB and mobile interfaces, power supplies, server and processor architecture, computer security, cloud computing, memory devices and management, computer networks, health monitoring systems, and manufacturing processes.